Building a new warehouse on a more than 100-year-old confined medical campus proved to be a logistical challenge for officials at Jefferson Barracks. 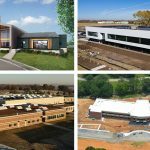 The Jefferson Barracks Division of the Veterans Affairs St. Louis Health Care System, one of just two VA hospitals in St. Louis, tapped Poettker Construction as general contractor for its $30 million, 67,000-square-foot engineering warehouse that consolidated the campus’ engineering and support services. Many of the numerous underground utilities weren’t documented in the original drawings from the 1900s, so Poettker spent the first four months identifying as much as it could and created a plan to help stay on budget and on time when the abandoned utilities were found. 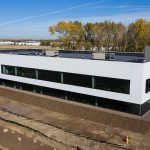 Through detailed planning, Poettker was able to substantially complete the project three months ahead of the projected completion date and finish by November after a two-year timeline. Now the new warehouse helps to create a distinct service area on the campus’ north side, allowing trucks and employees separate access from clinical functions.